Whilst modern marine navigation aids such as radar and GPS receivers have greatly improved safety at sea there is still a need for traditional warning devices such as fog horns and light beacons. As these systems can be very intrusive it is important to ensure they only operate under the right conditions. Biral VPF series visibility sensors have been in use on lighthouses and other marine installations for over twenty years with a track record of reliable measurement and extreme longevity. 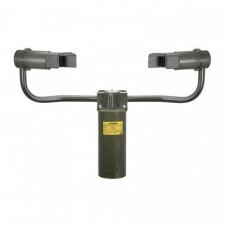 The VPF-510 visibility sensor has the ability to independently switch two warning devices according to the local visibility allowing the construction of simple and robust systems that require the minimum of maintenance. Biral VPF and SWS visibility sensors are also used in port control applications where digital data is relayed to a control centre with responsibility for the safe operation of the port. Biral SWS sensors are used in the port of Rotterdam for example.